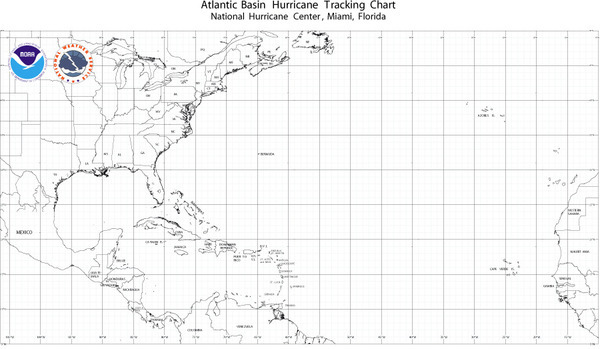 Official NOAA hurricane tracking chart of the Atlantic Ocean basin. Available in paper, laminated or framed in 5 different sizes! 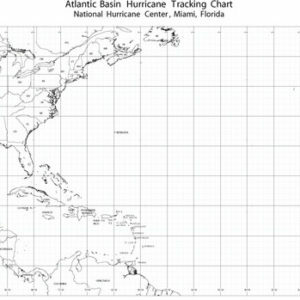 The NOAA Hurricane Tracking Wall Map Chart Poster Extended is one of our best selling easy-to-use tracking charts. 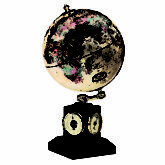 Enjoy the very best from the walls of the National Hurricane Center in Miami, Florida. Swiftmaps and the National Weather Service have taken the exact same hurricane tracking chart being used in the Miami, Florida National Weather Service office and made it available to the public in assorted poster sizes. Custom enlargements and custom sizes are available on request as well as wood framing and magnetic charts for hurricane planning committees. Please email [email protected] for special requests!